Physics E-book Collection : Kinematical Theory of Spinning Particles Classical and Quantum Mechanical Formalism of Elementary Particles by Rivas, M.
Kinematical Theory of Spinning Particles Classical and Quantum Mechanical Formalism of Elementary Particles by Rivas, M.
Classical spin is described in terms of velocities and acceleration so that knowledge of advanced mathematics is not required. Written in the three-dimensional notation of vector calculus, it can be followed by undergraduate physics students, although some notions of Lagrangian dynamics and group theory are required. It is intended as a general course at a postgraduate level for all-purpose physicists. 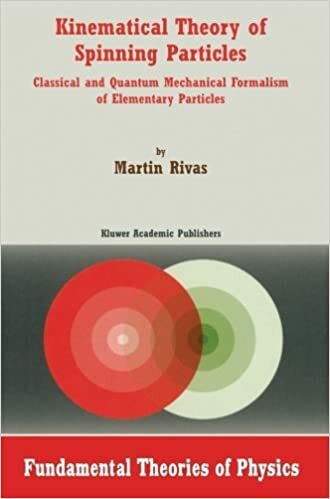 This book presents a unified approach to classical and quantum mechanics of spinning particles, with symmetry principles as the starting point. A classical concept of an elementary particle is presented. The variational statements to deal with spinning particles are revisited. It is shown that, by explicitly constructing different models, symmetry principles are sufficient for the description of either classical or quantum-mechanical elementary particles. Several spin effects are analyzed.